Mark D. Bennion is a poet and English professor. 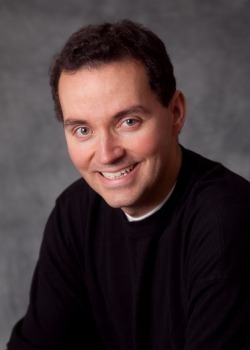 He is the author of Psalm & Selah: A Poetic Journey through The Book of Mormon and Forsythia. Psalm & Selah was born from an effort to give credit to characters in the Book of Mormon who are often overlooked for their contributions. Forsythia explores the loss of his younger brother Brian and the force of parental love. Both capture the experiences of family life. He earned his bachelor’s degree in English from Brigham Young University and his Master of Fine Arts degree in poetry from the University of Montana. He also spent a year at the Hebrew University of Jerusalem studying Hebrew and Israeli literature. His poems have appeared in a number of literary journals, including Athlon, caesura, The Comstock Review, Contemporary American Voices, Irreantum, and RHINO. He is a professor of English at BYU-Idaho. He and his wife, Kristine, and their children live in Rexburg, Idaho. He is a member of The Church of Jesus Christ of Latter-day Saints. This page was last edited on 5 September 2016, at 17:21.